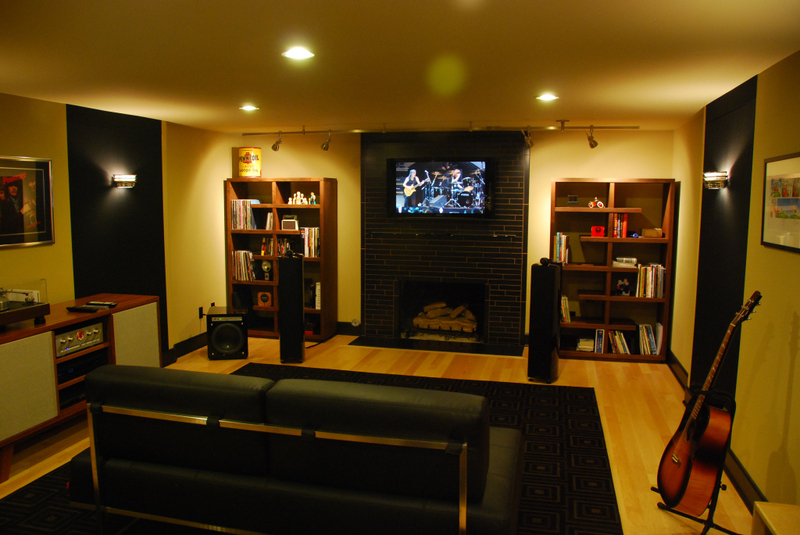 A newly refaced fireplace with plasma HDTV and high end audio creates an inviting retreat........with guitars too! 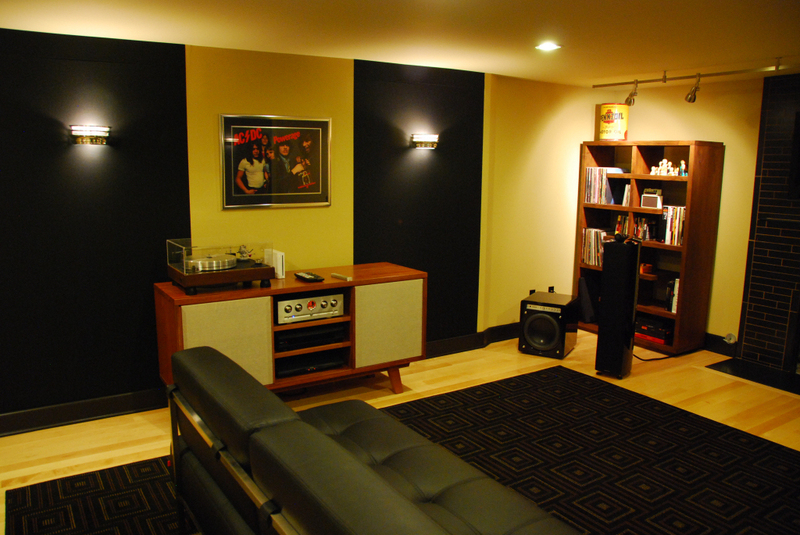 The owner of this beautiful Magnolia neighborhood home was moving up to an audiophile system for his jam/media space and wanted a complete room redesign with improved acoustics for accurate listening. 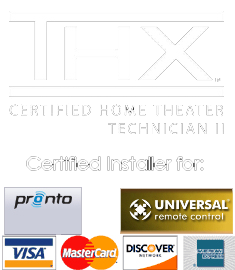 Everything had to go with redesigned lighting, AV wiring infrastructure, fireplace, flooring and wall treatments. 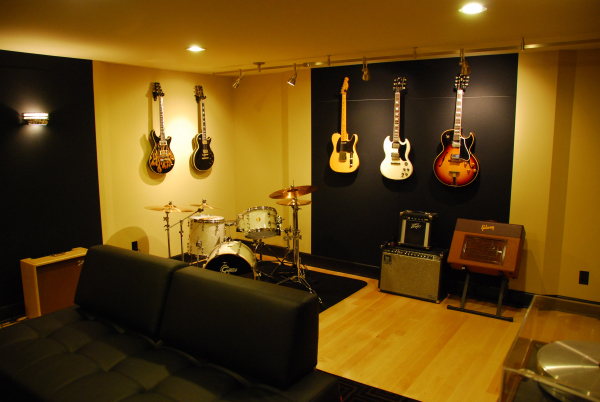 They wanted a look that was more stylish than simply hanging acoustic treatments on the walls. 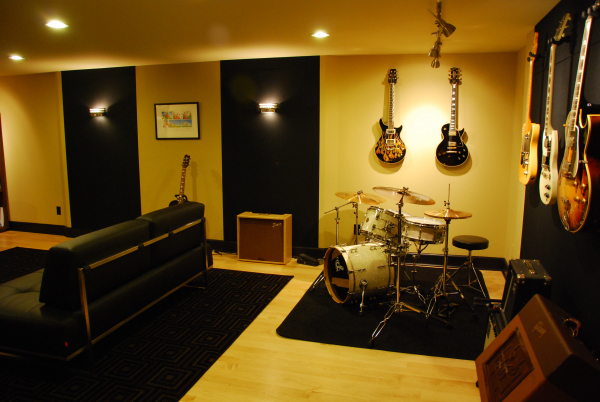 We worked closely with the homeowner to create a custom acoustic solution utilizing tight clearance framed-out spaces to conceal all acoustic treatment behind fabric panels. Another consideration from the client was that we use a minimum of floor space in our acoustic design, the room already has a lower than normal ceiling. Careful attention to detail resulted in a design with the correct placements of absorption/diffusion for the space with a look that enhances the room’s appearance and sounds fantastic as well. 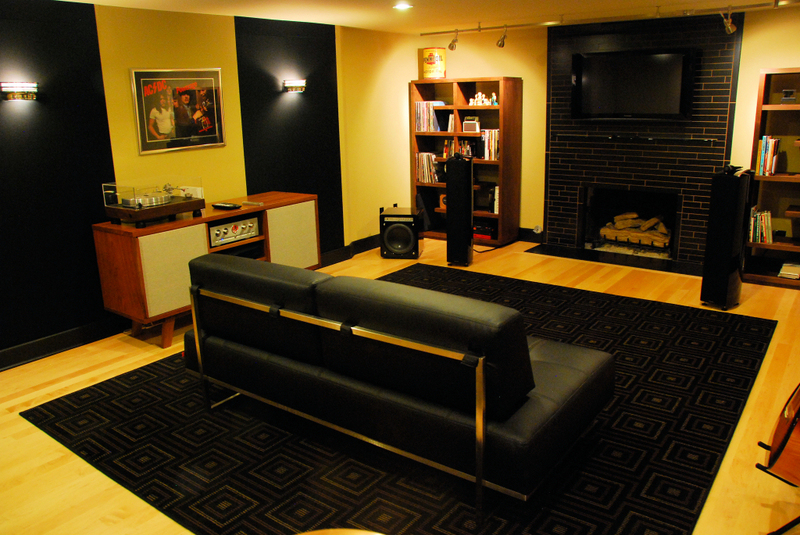 The great AV system is this room includes: Panasonic S1 Series Plasma HDTV Display, B&W speakers, JL Audio subwoofer, Vincent integrated tube/solid state amp, VPI Classic turntable, Oppo BluRay/SACD Transport and of course, Sonos. The winning combo of excellent electronics in a properly designed environment delivers a huge soundstage with pinpoint imaging accuracy that is quite enjoyable to listen to.